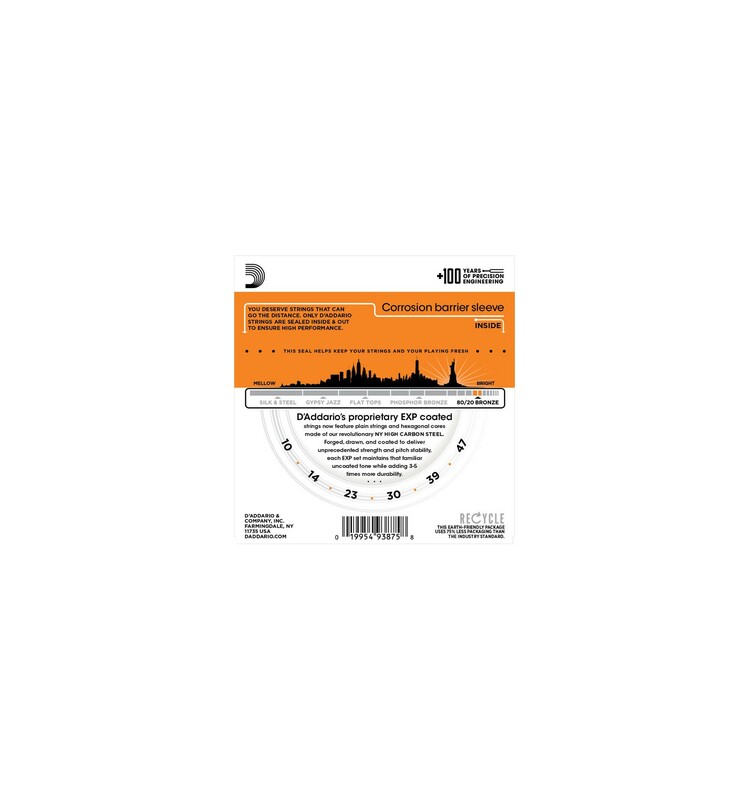 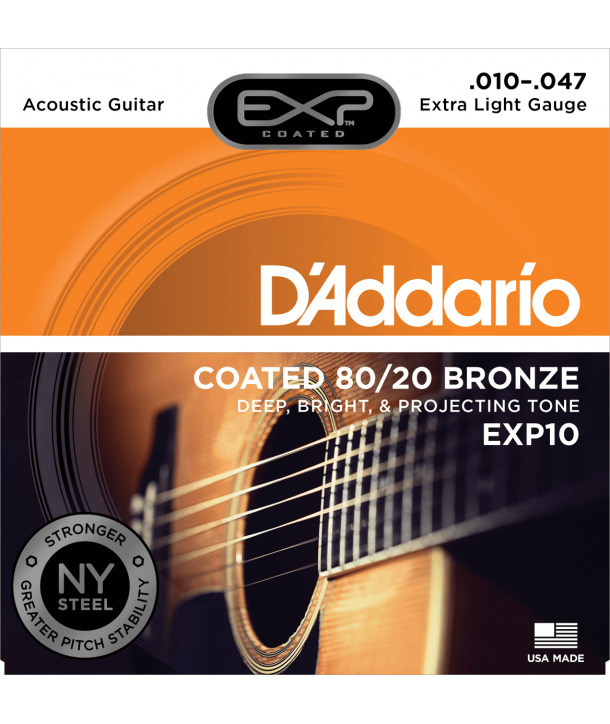 D’Addario’s EXP coated strings feature plain steel strings and hexagonal cores made of NY High Carbon Steel. 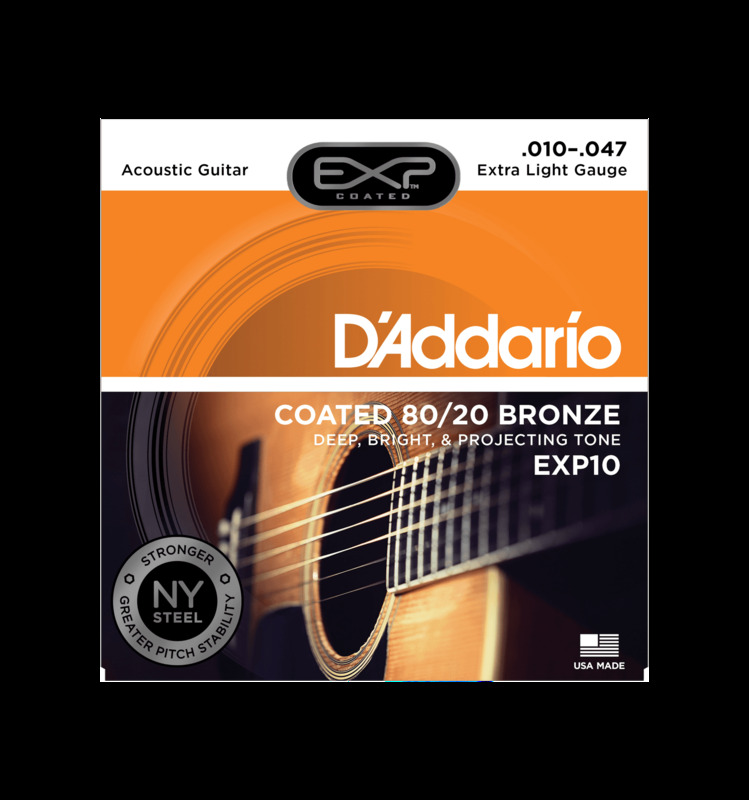 Manufactured by D’Addario in New York, this break-resistant, high-carbon steel wire delivers strength and pitch stability. 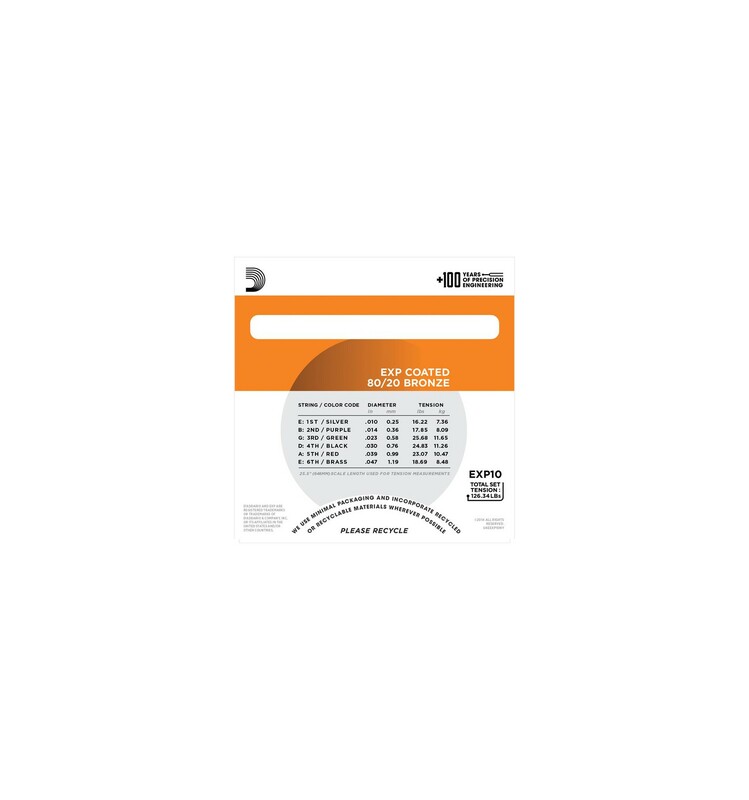 Combined with the high quality wrap wire materials, precision drawn and micro-coated, each EXP set maintains that uncoated tone while adding up to 4 times more life.